We’re planning a day out to Ladies Day at Plumpton Races again this year! It’s Sunday 12th May – doors open 12 noon, with races running from 2pm-5:30pm. Tickets are £13 (not including train travel), if you would like to come, please pay Rosie (treasurer) at the March or April meetings. Or you can pay by bank transfer with the reference ‘Plumpton’ – please email hello@n1wi.co.uk to let us know if you’ve sent over the money this way. We had a brilliant time last year. We all took food and drink (including plenty of fizz!) for a picnic, wore fabulous outfits and excellent hats, and enjoyed the gorgeous sunshine and a even few winnings! The day includes competitions for best dressed and best hat with amazing prizes so come in your finest! 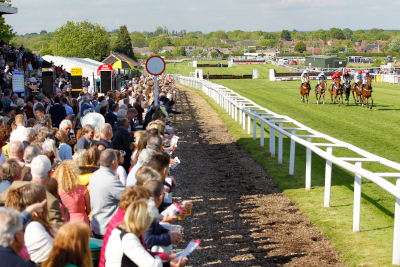 For more information and to see how to get there have a look at the Plumpton Races website. A group of us will be travelling down by train together which we’ll organise closer to the time. Hope lots of you can come!